LG today announced the long awaited smartphone LG G4, with really amazing features to grab the attention of a large number of audience at its very first glance. What at first appears to be a minor update over the G3 is a thorough revisiting of what made the company’s past devices successful, eschewing aging visuals on the software side while doubling down on LG’s diverse component successes. At first glance, the device appears largely identical to its predecessor, though there is some refinement in the build quality. The phone is ever so slightly taller, with squared-off sides that make it easier to grip. These sides also slope in to meet a screen that takes subtle cues from the G Flex series; it features a top to bottom curve of under five degrees, which the Korean based company claims increases drop durability by 20% over the G3. The rear button configuration is unchanged from the G3—and G2, for that matter—but the power button sees further refinement, a rectangular protrusion more immediately differentiated from the phone’s textured volume buttons. There’s a maturity and confidence to the design of the G4 that was missing from last year’s version, though its fundamentals remain the same. Perhaps it is, like a sculpted face, the angles; it also could be the darker finish to the front and sides. And if that isn’t enough, there’s always leather ;As we saw from numerous leaks and teasers, the G4 will come with the option of five colours of vegetable-aged leather, a process that takes three weeks, the company tells me. The colours, white, black, yellow, red and tan, are distinctive in both their hue and finish, but all are finished with a handmade “racing stripe” stitch down the centre of the back. These replaceable backs don’t come standard, and pricing hasn’t been announced for Pakistan just yet, but there are three painted ceramic backings, all with checkerboard patterns that add some much-needed grip to the plastic: Shiny Gold, Ceramic Craft (dark) and Ceramic Craft (white). All this is well and good, but it’s when you turn the device over, and the screen on, that you see the biggest improvement to the device year over year. The 5.5-inch 2560×1440 pixel display is astonishing in its sharpness, sure, but so too was it on the G3. It’s everywhere else that shows how much difference a year makes. First, the colours: between this screen and the Samsung Galaxy S6’s 5.1-inch QHD panel, an arms race for top display has developed overnight. While the S6’s screen is sharper, colours on the G4 are outright insane in their accuracy. Viewing angles, outdoor brightness and touch responsiveness, too, are thoroughly impressive. And gone, thankfully, is the sharpening around text that sent many reviewer into a tizzy last year. Halo-free and without a hint of compensation, the biggest compliment I can give to the G4’s display is its cleanliness; there is nothing distracting you from enjoying the phone’s content. Moving inside, the rumours are true: this device forgoes the Sauna on a Chip Snapdragon 810 for a toned-down Snapdragon 808. The fundamentals are the same, fewer two Cortex-A57 cores and a slightly slower Adreno 418 GPU. LG assured me that users won’t notice a difference in day to day performance, but tell that to the average Android enthusiast. The average average smartphone buyer will certainly not care two winks, and it appears, based on early benchmarking, that LG made the right decision. Synthetic benchmarks scored nearly identically to the HTC One M9 and Samsung Galaxy S6 in single-core mode, and multi-threaded tests scaled linearly. We’ll have to spend more time with the device to make more astute observations, and to see whether battery life is inversely affected. Unchanged from last year is the memory configuration, with the same 3GB LPDDR3 RAM as the G3, with 32GB of storage and microSD slot for expansion. The out-of-box availability is 23GB. This being LG, the company stuck to a microSIM slot, which is great for anyone upgrading from a two year old phone, but most newer devices, from the Galaxy S6 to the iPhone 6, Nexus 6 and Moto X, have moved to the nanoSIM standard. Arguably a more important upgrade than the display is the camera. The 16MP rear shooter is a clear upgrade over last year – while we’re still investigating, it appears to be using the same sensor as the Galaxy S6 – but the biggest improvement comes in the lens. Moving once again to one-up Samsung, the F1.8 lens is a full quarter stop lower than the S6’s, affecting both the depth of field and the amount of light the sensor can capture. LG is taking its camera very seriously this time around. Not only has the image stabilization been beefed up for a third year in a row, but the laser autofocus module has been once again sped up. Then there’s the new QuickShot camera shortcut that, once again is faster than the S6 at 0.6 seconds, requires a double tap of the volume down button to instantly enter the camera app, focus and take a photo – all in one pre-defined action. As all of us know that the previous years' flagship model of LG the G3 was a very good and fantastic phone but every phone has some lags and needs to be fixed them. LG G3 needed a boost in contrast and better sunlight legibility. The Quantum dot tech on the LG G4 renders beautiful colors and the contrast does seem better, though we'll need to take it back to the lab for specific numbers. The chipset of LG G4 is somehow of lower standard, as Snapdragon 808 is a bit of a compromise. Also, the software is missing any headlining new features to differentiate it from the last years' flagship model the LG G3. 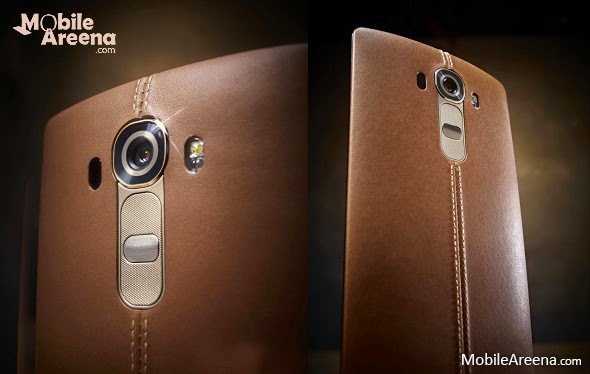 But camera manual mode and the smart notifications are the new inventions in LG G4. 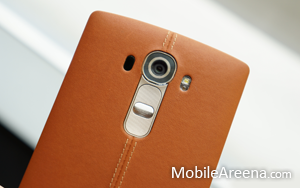 The LG G4 will launch tomorrow in the homeland of LG South Korea and perhaps next month in the USA. Launch plans are still being hashed out, but it will definitely aim for stirring the phablet market. In-fighting aside, pricing will determine the success of the LG G4. We predict that most of the LG fans will show their will easily to buy this premium design phone on a sufficient additional price.